In the first of two blogs on the topic of mobility tech, Robin Christopherson, Head of Digital Inclusion at AbilityNet, and a technology enthusiast, talks about the options available to blind and partially sighted people on today’s market. We live in exciting times for accessible mobility and as a blind person myself, I couldn’t be more thrilled about the technology that exists today that helps with mobility assistance for people with vision impairment. How can a smartphone help people with sight loss navigate a journey when out and about? What is GPS Positioning and why is it important? 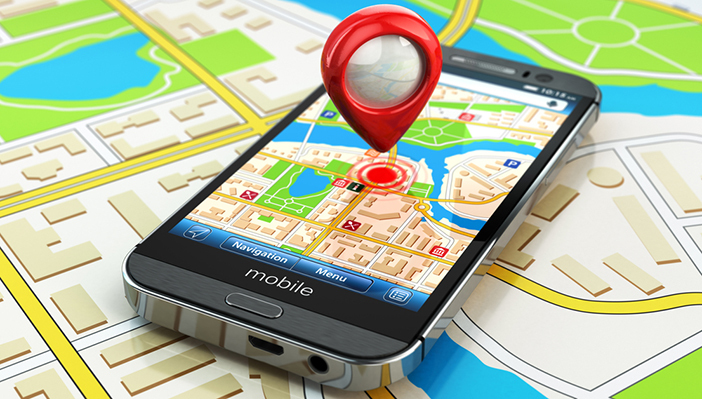 Navigation apps on smartphones use the Global Positioning System (GPS) to locate a person’s position anywhere on Earth where there is an unobstructed line of sight to three or more GPS satellites. Apps that use GPS are hugely helpful for general mobility, such as knowing which street you’re on, however, GPS won’t always necessarily get you to a specific location like a particular doorway - or often even to the right building or side-street. This is because at best, the satellites that power GPS can recognise your position up to five metres off of your actual location and at worst, can often be quite inaccurate. I’ll cover strategies for dealing with this later in the blog. Built into every iPhone and iPad is a navigation app, imaginatively named Maps. Don’t discount the app as being too visual because with VoiceOver functionality switched on, it can be wonderfully helpful. Open the app with VoiceOver running (the built-in advanced screen reader that works by tapping the Home button three times) and explore the streets in your vicinity. By moving your finger around the screen, whatever you touch will be spoken allowed but your position on the map won’t change so you can understand what’s around you before you start moving. On an iPad’s much bigger screen, you could thoroughly research a neighbourhood in advance of travelling. You can get an accurate picture of the area and also the various points of interest (POIs) like pharmacies or cinemas so you can plan your day too. When you first touch a road VoiceOver will announce the name of the street and its orientation for example, “London Road, North-South road”, which is a really useful tip for people relying on the speech alone. VoiceOver will also announce when you are approaching a junction, “approaching Bridge Street, East-West road”. A double-tap with one finger over a POI will give you more information about the place including providing a link to the POI’s website and contact details. For example, if you double-tap over a Post Office, you’ll be immediately taken to a webpage with a link to the Post Office website and the telephone number. If you want to know how far away the POI is or the street name you’re interested in going to, simply tap on the screen once with three fingers and VoiceOver will announce the distance. The Maps app also has a hugely useful function that allows spoken turn-by-turn directions. VoiceOver will periodically announce the street you are on, its orientation, junctions you are approaching and how many metres (or yards) to go before the next turn. It even tells you POIs you are passing too. This is completely different to what a sighted person usually gets after entering a route and pulling away to start driving, where only the occasional announcement to "turn left in half a mile" etc is given. Simply open the app, tap on the ‘Tracking’ button to take the focus of VoiceOver to that button, then double-tap with a single finger to change the way Maps tracks your progress. Do this three times and you’ll hear “Tracking with headings” and just start walking. This free app is also available for iDevice users only. Without much of the sophistication of Apple’s Maps, the LookAround app has a very simple way of getting spoken navigational information about what is around you. Open the app and the first two items; ‘Look Around’ and ‘Nearest Cross Street’ give you vital spoken information about your surroundings such as which intersections are coming up, their orientation and distance and POIs in your vicinity. Alternatively, simply shake the phone to hear what’s around you. Many may prefer the friendly menu and obvious functions of this app over other more fully-functional alternatives. In my last article I described the BlindSquare app which is another extremely useful mobility app. Currently, it is only available for iDevices, but the BlindSquare website says that it is soon to be coming to Android. BlindSquare has recently been given the added capability to detect beacons. These are small coin-sized devices that are permanently fixed to strategic places both indoors and out and which shout their existence and position to your smartphone via a Bluetooth signal. They also broadcast a small amount of data about the thing they are attached too. This gives pinpoint accuracy not available with GPS alone and which is so important for blind and partially sighted people. Of course this relies on the presence of beacons, but here is a short video of how BlindSquare automatically announces Public Transit information where each stop has been fitted with one of these devices.